Smokey Black finish. 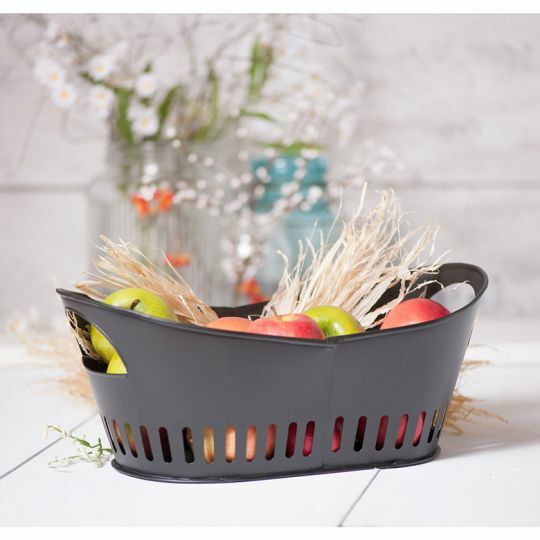 Fill with colorful fruit to use as a centerpiece or a convenient size for storage. Metal construction.